Q. Last week, rockets were fired at Tel Aviv from Gaza, while Israel warned that Hezbollah was trying to deploy on the Syrian Golan to threaten it. Granted, these are both real military threats. But why is the Gaza threat “provincial” and the Golan threat “global”? A. Escalation in and around Gaza, which nearly erupted last week, is containable. There is little likelihood that Arab neighbors will join in. Egypt will try to mediate. Russia, Turkey, Qatar and other interested powers and neighbors will stay out. The US will, at most, try to find in a Gaza conflict yet another opportunity to suggest “economic peace” solutions based on hypothetical plans to invest in chaotic Gaza. Further, the domestic situation in the Gaza Strip appears to be so uncontrollable and unpredictable that the entire Gaza arena could be labeled pathetic if it weren’t also tragic because of the human elements of poverty and suffering. So Gaza can be contained. The Golan is a different issue entirely. There, Iran, Syria, Lebanon, Hezbollah and even Russia are potential actors in a conflict with Israel. And the US, because it has signaled that it does not wish to be a player in Syria, is also important precisely by virtue of its absence. Indeed, the limited extent of Washington’s involvement was signaled by the State Department’s declaration last week that the Golan is “Israeli-controlled” and no longer “Israeli-occupied”--semantic hairsplitting that Israelis found gratifying, but hardly signaling a commitment. Q. Does this explain why Israel’s responses to the Gaza and Golan threats last week were different? A. Indeed, on the Golan the IDF publicized the names of the key figures in the new Hezbollah deployment and laid out their intelligence and force-building functions at this early stage. The message was clear: Israel intends to attack and eliminate this force and its leaders, just as it did with their predecessors in recent years, unless they clear out. From Israel’s standpoint, a Hezbollah deployment on the Golan is the equivalent of an Iranian deployment--a development that Russia has ostensibly pledged to prevent. Israel hinted that even Syria’s President Assad may have been unaware of Hezbollah’s attempt to return to the Syrian Golan. In sharp contrast, Israel’s response to the two Hamas rockets fired at Tel Aviv was to suggest they were launched as a consequence of an operational glitch or mistake. It helped that one rocket landed in an empty lot and the other exploded in mid-air: no one was hurt, as Tel Aviv’s perpetual party atmosphere remained undisturbed. Even when it became clear that the Hamas leadership had fired the rockets deliberately to distract Gazans’ attention from unrest and protest at home by triggering a battle with Israel, PM Netanyahu felt no need to explain the issue at length. The ensuing “battle”--air attacks by Israel on empty Hamas installations and a few more stray rockets fired from Gaza, all of which caused no casualties--was a brief security non-event. Q. What’s going on inside Gaza and why does Israel bend over backward to avoid escalation? A. For the first time since Hamas took control over the Strip 12 years ago, it confronts widespread popular unrest. The backdrop is prolonged economic hardship which is not mitigated by monthly Qatari cash handouts to the Hamas leadership. Masses of demonstrators are shouting slogans not against Israel but against their own leaders. Hamas security forces are straining to maintain order without causing heavy casualties. All this is broadcast to the world from demonstrators’ smartphones. Egypt, which along with Qatar and UN troubleshooter Nikolay Mladenov had been making concerted efforts to mediate a new Hamas-Israel agreement trading economic benefits for peace and quiet, called its mediators home when the rockets were fired at Israel last Thursday night in the midst of negotiations. The next day, Friday, Hamas cancelled the usual massive fence demonstrations for the first time in a year. These were bizarre and unanticipated developments. What is happening in Gaza is not entirely clear. Can Hamas silence the protests? Is its rule in danger? Israel has every reason to “keep its powder dry” and avoid escalation until the smoke clears. Besides, no one seems to welcome an escalation in the midst of Israeli elections. Q. Back to the Syria front: Netanyahu and Putin met in late February; are there hints that Putin is prepared to take a stronger stand against Iran’s machinations in Syria? A. Putin and Netanyahu met for their first serious discussions since the accidental downing of a Russian spy plane off the Syrian coast last October muddied relations. Publicly they showered positive gestures on one another and Putin agreed to visit Israel soon. They also announced they had discussed involving Israel in a “joint task force” to oversee removal of “foreign forces” from Syria. Which forces is not clear: Russia, Iran and even Hezbollah are in Syria at the invitation of President Assad. 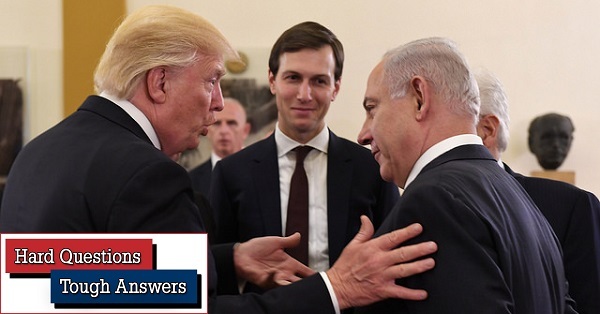 Nor is it clear whether the meeting changed the nature of Israel’s efforts to block Iranian penetration by force, and where Moscow stands on this. True, Iran is more important to Russia in the Caspian and Caucasus than in Syria, but thus far coexistence between the Russian and Iranian expeditionary forces on Syrian soil has been relatively cost free. At the moment, Russian supply of S-300 ground-to-air missiles to Syria--a threat to the Israel Air Force--is still on track, while Israeli attacks against Iranian targets on Syrian soil appear to have declined. The deployment of Hezbollah, an Iranian proxy, on the Syrian Golan is a clear indication that, with or without Russian pressure, Iran is not backing away. 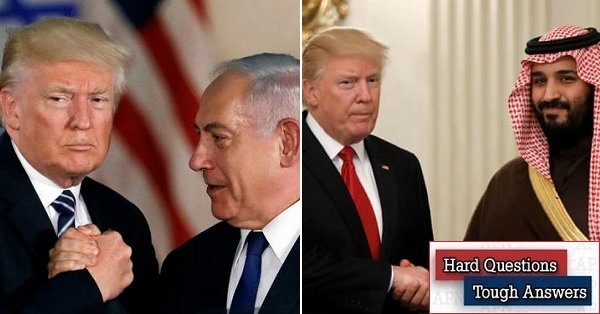 Indeed, recent visits by Syria’s Assad to Tehran and Iran’s President Rowhani to Baghdad, along with high-level Syria-Iran-Iraq military talks, are clear indications that Iran’s plans to exercise hegemony in the Levant, right up to Israel’s borders, are on track. Q. What’s your bottom line on these two conflict fronts: Iran/Syria and Gaza? A. There is a strong sense in Israeli strategic circles that serious escalation on both fronts is inevitable. The question, in both cases, is when. Gaza, the provincial front, can wait at least until elections and the formation of a new government. Even then, a number of problematic variables enter the picture. First, more time is needed for completion of Israel’s subterranean barrier designed to thwart Hamas attack tunnels. On the other hand, the population of Israel’s “Gaza periphery” cannot be held hostage to Hamas rockets and explosive balloons forever. Still, domestic unrest in Gaza is worth watching. Last Thursday’s rockets on Tel Aviv offer one more reminder that Israel has not succeeded in deterring Hamas. Nor does the current trigger-happy Hamas leadership come across as a serious candidate for stable coexistence with Israel. Yet no one in Israel is prepared to reoccupy Gaza and replace that leadership by force. At its most expansive level, the IDF plan is to eliminate Hamas’s and Islamic Jihad’s military force and potential, then pull out and leave the Gazans to their own devices. Such an operation will be very costly in Israeli and Gazan lives. It will still leave Gazans isolated and poor. But it will be a contained conflict; little or no danger of escalation beyond the Strip. Turning to Israel’s northern front, a lot depends on Russia. This explains Netanyahu’s 11 meetings with Putin since September 2015. Increasingly, as he reestablishes his control, Assad will also again be a player. Both Putin and Assad are important because Israel has no aspiration to fight an all-out war with Iran--merely to force Iran’s legions out of Syria and away from Israel. In this sense, nothing has changed in the strategy of “campaign between wars” that has defined Israel’s efforts in the Syria theater in recent years. Can Netanyahu reach an understanding with Putin that allows Israel to continue to deal serious blows to Iran in Syria? Will Israel have to consider hitting Iranian targets beyond Syria? Can Assad be pressured militarily to ask Iran to leave? These are issues for Israel’s next government to ponder. Meanwhile, the latest Hezbollah deployment on the Syrian Golan may constitute a local threat that cannot wait. Q. How does all this factor into Israel’s April 9 elections? A. It’s difficult to say, because the electoral outcome remains unpredictable and the pace of events and dirty tricks is so fast that the issues seemingly at stake are constantly changing. Last week, Gaza and Hamas rockets were the topic of recriminations as to who could provide better security. Then Iran was reintroduced when the Likud claimed that Tehran had hacked the cellphone of Blue and White leader Benny Gantz. On Sunday the issue was a West Bank terrorist incident. Attempts to talk about truly pressing socio-economic issues where the Likud is vulnerable due to its many failings are generally pushed to the back burner. Social media electoral propaganda, particularly by Likud and the right, has sunk to truly despicable levels. PM Netanyahu’s legal troubles, once expected to dominate the elections, have long since faded into the background. The polls currently give the Likud-led right-religious bloc a small advantage. But a lot of minor parties, mostly on the political right, are hovering around the four-mandate threshold. 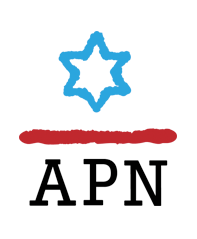 As matters stand, it would be sufficient for one or more of these parties to disappear electorally, taking with it the equivalent of three mandates, to render the outcome a dead heat and force Likud and Blue and White into a joint coalition.